Wordpress, Joomla, Magento, Google Apps, websites, email, databases, product and service updates - we've got it covered. By remaining focussed, keeping our running costs down and not taking on more than we can chew, we are able to offer a high quality, high value service. We gladly work with outside designers. Responsive, Content Editable, Events module, News module, Weather widget, Rotating images, Multi-site. 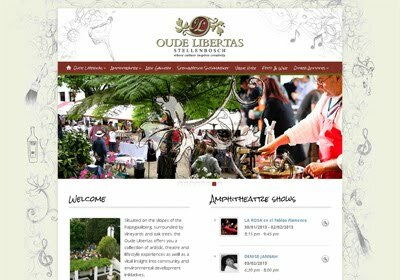 With an open-air amphitheatre, coffee, wine & tapas bar, art gallery, slow market on Saturdays, yoga classes, kiddie activities, special wine tastings, film screenings and picnics on offer - at Oude Libertas there is something interesting for everyone to enjoy. Wordpress, Content Editable, Rolling ticker, Blog. KhayaMedia is a global travel and logistical support organisation offering accommodation, travel and other solutions to media clients and corporate sponsors during major sports events. 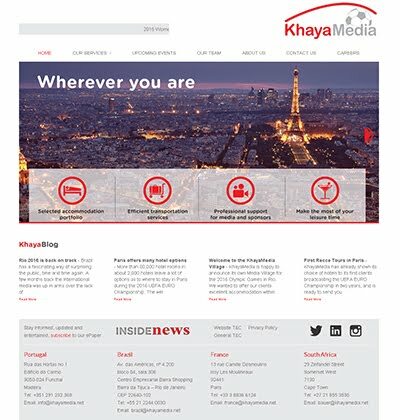 With over 20 years of experience in the world of sport, KhayaMedia's clients can be assured that their unique accommodation, travel and hospitality requirements will be undrestood. KhayaMedia’s local scouts and service personnel, based in every host city, guarantee a comprehensive 24-hour assistance. KhayaMedia has offices in Brazil, Portugal, France & South Africa. Responsive, Content Editable, Twitter widget. 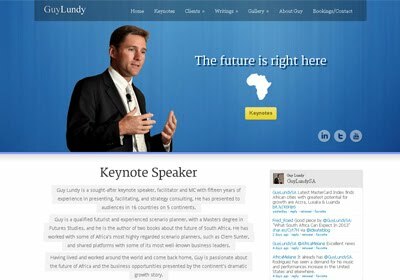 Guy Lundy is a sought-after keynote speaker, facilitator and MC with fifteen years of experience in presenting, facilitating, and strategy consulting. He has presented to audiences in 16 countries on 5 continents. eCommerce, Responsive, 3D design, Photography, Product Video. Flej PDS is a Personal Drinking System ideal for camping, travelling or visiting friends. 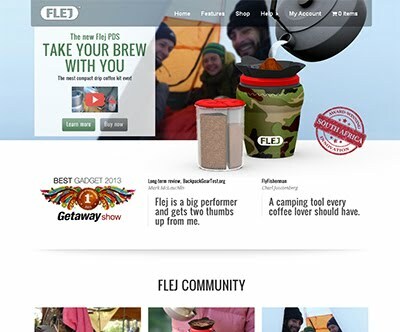 Flej features Caddi – a four compartment ingredient storage container; MyBru – a reusable filter making Flej the perfect camping single drip filter coffee maker; and Agitor – a patented self-stir system that makes stirring a brew quick and easy… all of which stow inside the Flej cup for compact space saving convenience. If you love camping and coffee, this one's for you! Content Editable, Presentations, Members only area. 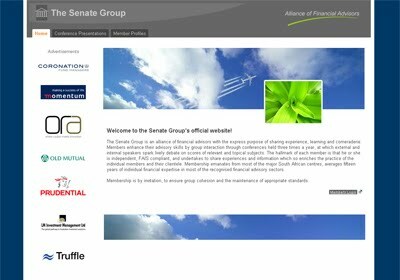 The Senate Group is an alliance of financial advisors with the express purpose of sharing experience, learning and comeraderie. Members enhance their advisory skills by group interaction through conferences held three times a year, at which external and internal speakers spark lively debate on scores of relevant and topical subjects. Membership is by invitation, to ensure group cohesion and the maintenance of appropriate standards. Revolving galleries, Clean and elegant. Fabrics. Buttons. Colourful thread. Pins on a magnet. The sound of scissors crunching through brown paper. Me paging through my mother’s pattern making journals. These childhood memories fill me with a sense of delight – a feeling that I hope is manifested in my clothing. I aim to create timeless and ageless clothing for women. 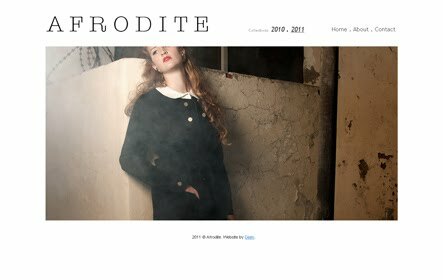 AFRODITE will reflect comfort, uniqueness and elegance. Gallery module loaded via Flickr. 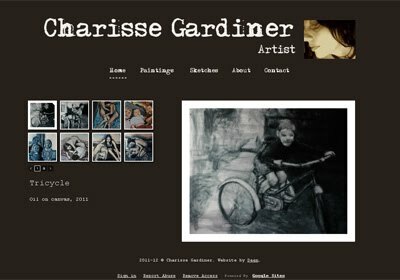 Charisse received her Honours for the Degree of Bachelor of Art in Fine Art at U.C.T in South Africa, in 1993. She has received numerous awards and private commissions and has exhibited widely. She currently teaches art privately and works with Oils, Acrylic, Wax and Mixed Media. 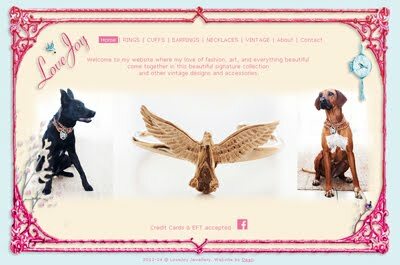 Online Business Card, Revolving Gallery. My jewellery is an extension of the fantasies played out through the many facets of fashion and art. I spend many hours hunting for original vintage treasures which are then made into beautiful new pieces with a contemporary twist. I make to order and can be booked for private soiree parties. Clean, Revolving Gallery, Online Brochure. 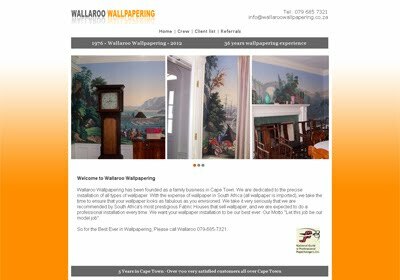 Wallaroo Wallpapering has been founded as a family business in Cape Town. We are dedicated to the precise installation of all types of wallpaper. With the expense of wallpaper in South Africa (all wallpaper is imported), we take the time to ensure that your wallpaper looks as fabulous as you envisioned. We take it very seriously that we are recommended by South Africa's most prestigious Fabric Houses that sell wallpaper, and we are expected to do a professional installation every time. We want your wallpaper installation to be our best ever. Our Motto "Let this job be our model job". 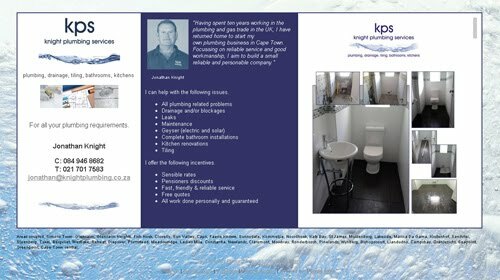 "Having spent ten years working in the plumbing and gas trade in the UK, I have returned home to start my own plumbing business in Cape Town. 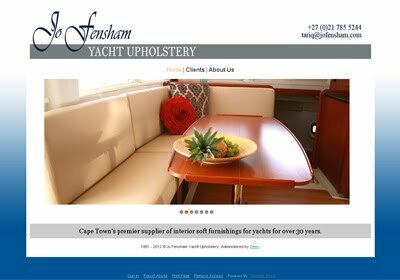 Focussing on reliable service and good workmanship, I aim to build a small reliable and personable company." Clean, Business Card, Examples of workmanship. Lovejoy building has been in operation since 2009 servicing the Southern Peninsula in both private and rental properties. 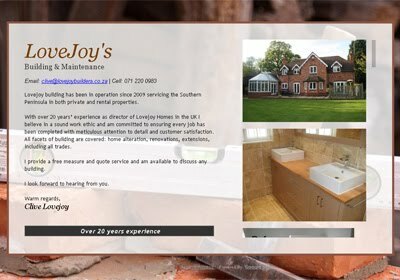 With over 20 years’ experience as director of Lovejoy Homes in the UK, Clive Lovejoy believes in a sound work ethic and is committed to ensuring every job has been completed with meticulous attention to detail and customer satisfaction. All facets of building are covered: home alteration, renovations, extensions, including all trades.